World renowned for producing some of the finest full-bodied cigars from Honduras, Camacho Cigars have been making hand-rolled premium cigars dating back to 1962. Every Camacho cigar is loaded with rich flavors from Generoso and Aléman Ligero tobaccos, bound by the legendary strength of the original Corojo leaf. 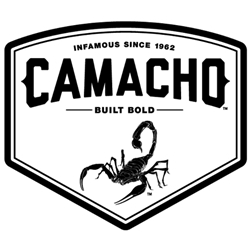 Camacho premium cigars are elevated by their bold and smooth flavor adding just enough to satisfy the beginner novice to the serious cigar smoker. A good cigar smoke should always be an enjoyable moment, calm, relaxing and full of satisfaction! Look for this experience here with all the premium cigar styles available at our discount online cigar store, Smokers Discounts! Camacho Cigars are produced by Davidoff of Geneva USA, Inc.